Careers360 interviews Shikha Rai, Vice President– HR at IT & Quality department in Canon India, who details the company’s recruitment policies. In this interview, the Canon India HR VP shares on what the organization looks for in candidates during recruitment process. She also shares her recruiting experience with the Indian candidates. 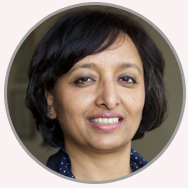 Read this expert interview to find out what Ms. Rai unveils on specialized training programmes necessary for recruitment. Careers360: Could you briefly outline Canon India’s recruitment policy? Shikha Rai: Canon is a 1000 employee strong company in India with a turnover of Rs. 2200 crores. We believe in ‘long-term employment’ and groom our employees internally to take up larger roles. Thus before looking for candidates externally, we dip into the internal talent pool. Also, we believe that our employees know our culture best; therefore, through a strong referral system, we encourage our employees to refer friends/relatives for any open position. As our corporate responsibility, we have begun recruitment of Apprentices & trainees right out of colleges and train & groom them as professionals. We are also focusing on improving the gender diversity in the organization. Careers360: What do you look for in a candidate when you recruit for India office? Shikha Rai: ‘Right Person in the Right Place’ is the recruitment philosophy at Canon. Detailed job descriptions are made in consultation with business managers and with the help of recruitment partners, technology platforms, relevant psychometric tools and multi-level interviews, we shortlist the candidates. Careers360: Do you think Indian candidates meet your expectations? If not, do you have any training programs to make them job ready? Shikha Rai: No candidate can be a perfect 10/10. We have various methods and programmes to make the candidates job-ready. The 2-day orientation programme which details out the corporate philosophy, history of the brand, the organization structure, products, customers, market etc. gives the employees a good overview. Trainings on Japanese culture, professionalism, customer orientation etc. enable a smoother adjustment into the organization. On-the-job hand-holding by the line manager is a practical approach for a strong start-off. Depending on the Business unit & role, various training on Product knowledge, Sales methodology, Product servicing, behavioural skills etc. are lined up. One training that is imparted to all ‘Canonites’ is the Management Process Re-Engineering (MPR). This training program aims to create a habit among the staff to work in a process centric way based on OPDCA (Objective-Plan–Do–Check–Act) approach. Another, very important intervention is called the Kaihatsu (Japanese word for Development) Centre, which aims at assessment and development for each employee. It tests the functional and behavioural competencies expected for that role/level. An IDP (Individual Development Plan) helps the employee to work towards the expected competencies. Careers360: Any future expansion plans in India? Recruitment plans? Shikha Rai: We are continuing our efforts to expand our reach to tier-2 & tier-3 cities by opening our brand stores in those cities. New ways of reaching to the customer through e-commerce is also on our agenda.